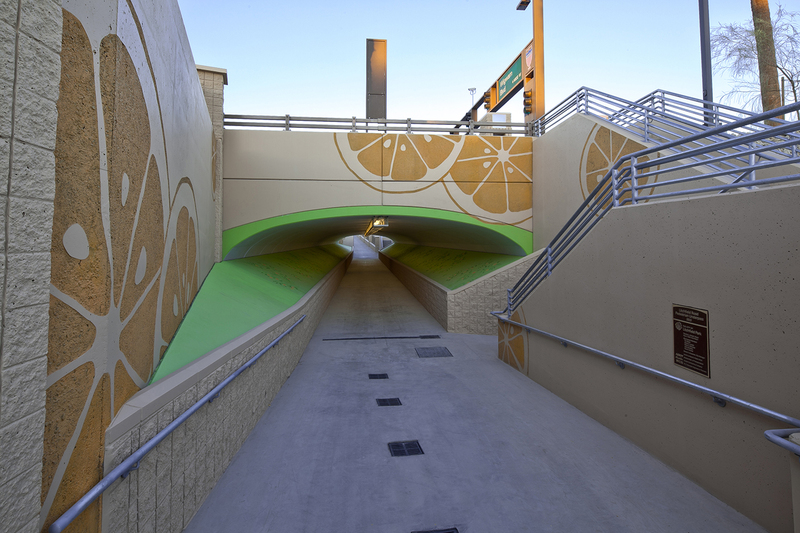 Arizona Department of Transportation’s $2.8 million Litchfield Pedestrian Underpass project offers a safe crossing for pedestrians and bicycles at the busy intersection with heavy foot traffic. The underpass also includes public art, improved electrical and landscaping, and sidewalk and ramp improvements. Pedestrians, cyclists, and golf carts can utilize the underpass as a safe link between downtown Litchfield Park and the nearby Wigwam Golf Resort, improving connections between local businesses and the resort.